Do you think fictional characters are real people? In some sense, they are. As readers, we grow attached to the main characters in our favorite novels and stories. They feel things, and they make us feel things. So, why not take our love for fictional characters and learn how to write a character analysis? Aside from all the joy they bring, a character analysis is also a common school assignment. It's a nice way to break down the main character in a novel in an effort to get to know them better and understand their motives better. Let's walk through the steps on how to write an in-depth character analysis. In school, either your teacher will assign a character for you to analyze or you'll be allowed to choose your own. If you're able to choose your own, try to select the most dynamic character. This doesn't have to be the protagonist, or the main character. Just make sure there's enough substance for you to work with. If you choose a less-prominent character, it'll be more difficult to produce an in-depth analysis. No matter the assignment, there are three "prep steps" that will make the rest of process flow like a tranquil stream. First things first. Pick up your book and re-read it with a focus on your character. Begin with a focus on any childhood facts. Before you get into the "meat" of the study, it's important to understand where your character came from. Note what you can talk about with respect to their place of birth, their family structure, and any impactful childhood moments. Then, it's time to note any physical traits and character traits the author highlights. For example, you might want to note their red hair and fierce independence. Or, perhaps they have an unabiding loyalty to a sibling or friend. Notice how your character interacts with other characters. This interpersonal study will make for a nice addition to your character analysis. Finally, note how your character fits into the five elements of the plot. This includes the introduction, rising action, climax, falling action, and resolution. What did your character do to help the plot achieve any of these elements? Additionally, how did your character overcome any challenges or struggles (most likely witnessed in the climax and resolution)? If it's a well-rounded story, there's sure to be some element of conflict. How did your character change or grow over the course of the story? You probably won't make it to graduation day without a brief interlude with William Shakespeare, most likely in the form of Romeo and Juliet. If you're conducting a character analysis of Romeo, you might begin with his childhood. It was instilled in him at a young age that the Capulet family was an enemy or rival. You can then note other details like his physical appearance and attractiveness. His interactions with other characters would also be of note, including his immediate family and friends. It would also be important to remark on his ability to move the plot forward. He was a key player in all the suspenseful scenes, as well as the tragic closing scenes. With copious notes by your side, there are two more important elements to consider before you begin drafting the actual character analysis itself. In this essay, I will analyze Romeo Montague. When faced with adversity, Romeo had the tenacity to overcome an array of obstacles and still be with his one true love. He demonstrated an iron will that granted him one wish - time with Juliet - as well as one curse - premature death. Once your thesis statement is framed in your mind, you can mold the direction of your analysis to amplify your thesis statement. In this manner, you won't just be fumbling about, listing random, if not interesting, facts about Romeo. With an outline, you'll have a clear direction. You'll highlight important character traits that demonstrate his iron will. You'll outline his decisions that granted him time with Juliet as well as a pitifully premature death. Armed with a wealth of organized information, it's time to start typing. We'll walk you through each of the steps that will guide you to a gorgeous finished product. Begin with the "why." Draft an introduction that introduces the audience to your character. This is also where you'll place your thesis statement. And, remember, your thesis will go beyond, "I'd like you to meet Romeo Montague." Rather, it'll highlight something of intrigue about him and indicate the direction of your upcoming analysis. Most of us, fictional or real, are shaped by our childhood and our environment. So, before you get into character traits, offer up what you know about the character's background. Where were they born? What was their upbringing like? Were they raised in prestige, like Romeo, or did they witness their parents struggle to put food on the table? Whatever you can glean about their upbringing will most likely tie into their present-day personality. Now it's time to have fun with an in-depth description of your character at present. This is where you'll mention that your character is fiercely independent or ferociously shy. Offer up a few specific examples of the character's interaction with other characters. This will highlight their character traits. Character traits and personality traits are often intertwined, even though there is a difference between the two. Character traits pertain to a person's morality and purpose. For example, maybe your character is fiercely independent because he doesn't want to be a burden to others. Personality traits, however, deal with the exterior. For example, he might be very morose and sullen. Or, he might be very upbeat, outspoken, and high-energy. Use this opportunity to delve into their personality, too. Offer up details that pertain to the interior as well as the exterior. Earlier, we mentioned that no storyline is complete without conflict. Conflict isn't always literal. You don't have to have a swordfight on a battlefield for there to be conflict. Sometimes the conflict is interior. The character might be wondering if they should stay somewhere, go somewhere, tell someone something. 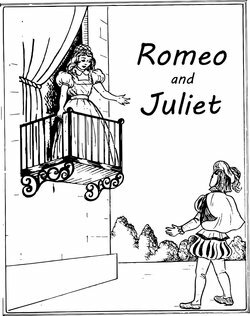 In Romeo and Juliet, Romeo was advancing toward manhood. He was making decisions of his own fruition, as opposed to blindly abiding by his parents rules. Of course, his final decision was rather unfortunate, but we were watching him experience growth as he made decision after decision for himself, regardless of his parent's wrath. Once you've crafted an in-depth analysis of the character from childhood to the end of their growth period, it's time to draw a conclusion. This is your moment to summarize everything you offered as a means to supporting your thesis statement. In our example, the goal was to highlight Romeo's iron will. Reiterate how his childhood may or may not have influenced his decisions to be with Juliet. Demonstrate his strength of character through all the hurdles he crossed to be with her. Remind the audience that we did, indeed, watch him progress from boyhood to manhood. Conclusions are endlessly important. These are the final thoughts you'll leave your reader with. As such, here are some tips on how to write a conclusion. Once you've done all this, take a break. Go warm up some chocolate chip cookies and pour yourself a glass of milk. Once you've stretched your legs, you can return to your analysis for a little proofreading and editing. But, at this stage, you should have a healthy character analysis in place. As you review, keep an eye out for transition words throughout your analysis. The strongest essays include transition words. These words will take us smoothly from your commentary on the character's upbringing, to his character traits, to his eventual growth. Then, sit back and congratulate yourself on an in-depth job well done. "How to Write a Character Analysis." YourDictionary, n.d. Web. 24 April 2019. <https://grammar.yourdictionary.com/grammar/writing/how-to-write-a-character-analysis.html>. Do you think fictional characters are real people? In some sense, they are. As readers, we grow attached to the main characters in our favorite novels and stories. They feel things, and they make us feel things. So, why not take our love for fictional characters and learn how to write a character analysis?Aside from all the joy they bring, a character analysis is also a common school assignment. It’s a nice way to break down the main character in a novel in an effort to get to know them better and understand their motives better. Let’s walk through the steps on how to write an in-depth character analysis.